I recently found that some regular bread brands are making an ‘oats’ version of their usual brown bread, so I thought I would try it. To be honest I do not use that much bread but hubby does, and no matter how hard I try, I cannot get him off it, he deems it to be part of his staple diet! So, I decided to try this oat bread, to see how different it tasted. To be honest, it barely tasted that different at all! Oats are a better source of good carbs, slower to digest, make you feel fuller for longer. Oats are also a good source of fibre and is richer in protein than wheat. A diet that is rich in fibre has shown to reduce certain cancers, specifically colon cancer, diabetes, digestive problems and heart disease. Whole oats are oats that still contain their endosperm, bran and germ. Whole oats are an excellent source of fiber, protein and vitamins. Studies have shown that whole oats have a specific kind of fiber referred to as beta-glucan, which has shown to be especially effective in lowering cholesterol. Whole grain oats contain seven vitamins, including vitamin E and a host of nutrients, including iron and calcium. Oats have twice the amount of protein than whole wheat or whole corn. Whole oat products include whole grain oat groats, steel cut oats and thick oats. obviously, one has more oats. Oat bread was a fraction higher in calories. Whats so good about fibre? The advantages of consuming fiber are the production of healthful compounds during the fermentation of soluble fiber, and insoluble fibre’s ability (via its passive hygroscopic properties) to increase bulk, soften stool, and shorten transit time through the intestinal tract. Oat bread V Wheat Bread? Given the choice and how little they differ in taste, the oat bread is definitely more beneficial than the wheat based bread. Specially if you are watching your body fat. It will also help raise your protein intake (good for building muscles and aiding repair) and lowering carb intake. ← How’s your run action? I found the oat bread to be much easier to digest. Wheat seemed to sit in my stomach for hours. I don’t eat that much bread, but I do have a sandwich at lunch. There are lots of brands and some do taste like cardboard. Another good information I learned from reading this post. 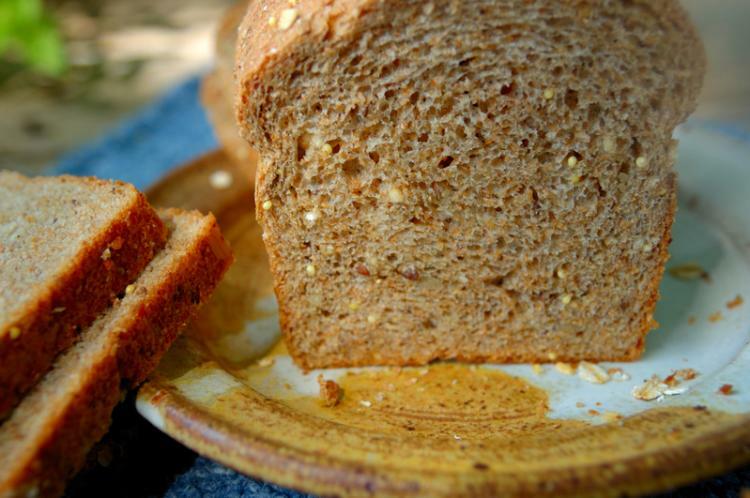 Why dont you try grain bread, especially that sprouted ones. I heard it is good for those trying to lose weight and is helpful for faster metabolism. We are all bread lovers in my family and we absolutely LOVE the taste of Pepperidge Farm Farmhouse Oatmeal bread!! Try that one and you will love it too. I have actually replaced our regular white bread and wheat bread with this and everyone loves it. And it seems to digest much easier than wheat or even white bread for me, not to mention I feel fuller from just 1 piece as opposed to 2 pieces of wheat or white, which is great because less bread is always better for keeping health on track!! i make my own oat bread within 2 and a half minutes in the microwave. 3 ingredients. and for when I have a sweet tooth, I mash a banana i include it ….and voila!! mix in a bowl (deep enough that the content won’t overflow) ie, porridge bowl and toast immediately afterward. I think oat bread tastes more like white bread, than wheat bread. That’s why I like it, but Nature’s Own Honey Oat is the only kind I’ve tried. I need some without the honey. Any suggestions? I live in Southern California.